Suddenly at his home, Lloyd Earl aged 85 years passed away on Tuesday, February 5, 2019 doing what he loved, tending to his cattle and a sick calf. 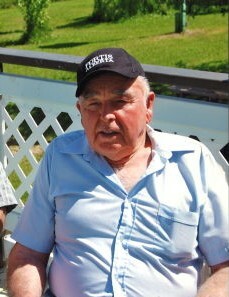 Lloyd leaves to cherish his memory daughters Jacquelyn Earl of Tomahawk, Burniece Baverstock (Garry) of Angus, Ontario as well as numerous friends and relatives. He was predeceased by his wife Vickie in 2006, sister Bernice Wyness and by brothers Bruce and Arthur. Funeral Services will be held on Monday, February 11, 2019 at 1:00 p.m. at the Royal Canadian Legion Branch #269, Drayton Valley with Pastor Kenton Penner officiating. Interment to follow at the Tomahawk Community Cemetery. If friends so desire memorial donations may be made to a charity of one’s choice.